Bet on The Reds to win any major trophy in the 2016-17 campaign with BetVictor’s Liverpool Price Boost 5.00 (4/1)! 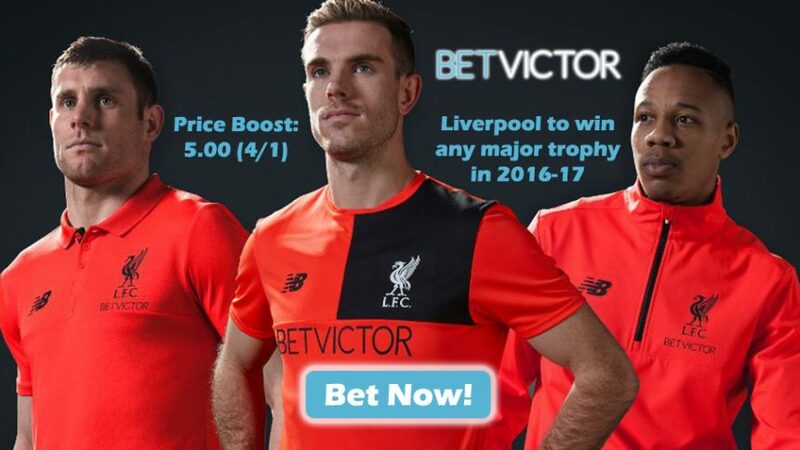 Join online sportsbook BetVictor and place a wager of £10 with Liverpool Price Boost Offer to win five times that amount! This bonus applies for The Reds winning any one of the major trophies in the coming season: Premier League, FA Cup or the FA Cup. The great thing about this offer is there are no wagering requirements and it’s fully cashable. BetVictor’s Liverpool Price Boost is valid until the end of the 2016-17 season, so you have plenty of time to make bets on The Reds. Note: this offer is valid for UK and Republic of Ireland players. But don’t worry, there are lots of other offers you can claim at BetVictor. Take a look at Betting Herald’s online sportsbook section for more info about BetVictor Sports Review. Liverpool finished 7th in the Premier League last season with 60 points, narrowly missing out on 6th spot which would have granted them qualification for Europe. The introduction of Jurgen Klopp midway through the season saw Liverpool’s fortunes turn for the better, as they clinched a total of 23 victories from 52 games. The former Borussia Dortmund boss also led The Reds to the Europa League final, in which they ended up as runner-ups against Sevilla who lifted their third consecutive title in the competition. Unlike the previous season, Klopp has the luxury of a full summer break to prepare for the 2016-17 campaign, which should see them perform much better in all competitions that they enter. 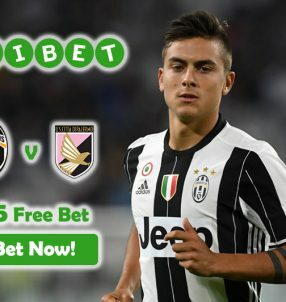 Bet with Liverpool Price Boost! Online sportsbook BetVictor was previously known for its association with 2015 Premier League champions Chelsea, however recently they’ve switched their allegiances to the Anfield side, becoming their official betting partner. The CEO of BetVictor, Andreas Meinrad, also echoed his enthusiasm after penning the three-year deal with the Merseyside outfit. Bet on The Reds with BetVictor’s Liverpool Price Boost! Bet with Liverpool Price Boost now!